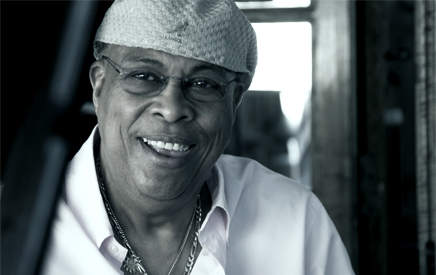 Born in Quivicán, Cuba in 1941, Chucho Valdés is one of Cuba’s most famous pianists, bandleaders, composers and arrangers. Perhaps best known for founding the famous Latin jazz band IRAKERE in 1972, Chucho’s illustrious career has also garnered him 6 Grammy wins and 16 nominations over the past three decades. His most recent win, a 2009 Latin Grammy for the record Juntos para Siempre, saw him collaborate with his father, Bebo Valdés, a major player on the Cuban jazz scene in his own right. Chucho Valdés has recorded over eighty CD’s and performed with everybody who is anybody in the world of jazz from Herbie Hancock and Dizzy Gillespie, to Wynton Marsalis and Chick Corea. His reputation as one of the greatest living Cuban jazz pianists has earned him appearances on the greatest stages in music, including Carnegie Hall, The Kennedy Center and The Hollywood Bowl. 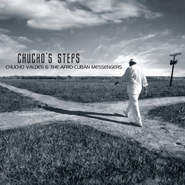 Chucho’s new album Chucho’s Steps with the Afro-Cuban Messengers, which will extensively tour the USA in October 2010, marks Chucho’s return to the US for the first time in 7 years. There will be major media and press coverage to herald Chucho Valdés’ triumphant return to the United States.